To clarify, each copy of KeyForge is a preconstructed deck of 37 cards. The cards aren’t completely random–there are 12 cards from 3 different factions (out of 7 possible factions), plus a reference card. This is truly a feat of modern production. Fantasy Flight details the process in this article, with the two key elements being (1) generating and storing the unique digital files and (1) using a digital print process to print each deck of cards. 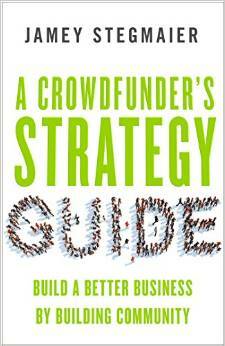 Today I’d like to briefly discuss the value of one-of-a-kind products as compared to the logistical hurdles required to make them possible, as you might be thinking about developing or offering such a product on Kickstarter or beyond. Here are a few examples and the value they add. KeyForge: Uniquely printed deck of cards intended for use by one person against a variety of other players. The uniqueness creates a strong sense of ownership and individuality. I’ve seen so many people sharing photos of their decks names with pride (and sometimes horror, as there are a few unfortunate names). The downside, of course, is the processing power required to create a product like this at scale. Signed products: A copy of a product signed by the designer. For those who value signatures, I think there’s a special feeling knowing that the designer handled your specific copy of the game and made their mark on it. Logistically, though, this is much more difficult than it seems. 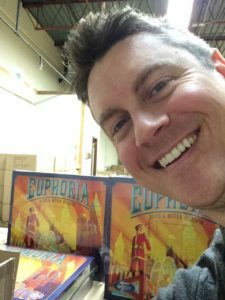 I offered this for 200 copies of Euphoria a few years ago, and it took me all day to go to the warehouse, open each carton, open the shrinkwrap on each game, sign it, wait for the ink to dry, put the games back into the cartons, and take a selfie (see photo). Individually numbered products: A copy of a product with a unique number (e.g., 52 / 1000) printed on the front. Of all of these options, this is by far the easiest to implement as compared to the value it adds. It doesn’t cost much at all, yet it captures that one-of-a-kind feel. Individually personalized products: A copy of a product with the person’s name printed on the box or in the produce (like this book). I brainstormed this concept with our ambassadors a few months ago, and the responses were mixed (see graphic below). The main challenges are (a) it might make it difficult to sell the product on the secondary market if you don’t like it and (b) it creates logistical issues for a fulfillment center, as they need to match each product with the proper recipient. What are some other examples of creators in any category offering one-of-a-kind products, especially if they’re at scale? How do these products make you feel? A related article is We Are Collectors (KS Lesson #200). I think I agree with every point here Jamey, especially the unique game idea only being a good idea for the right product. 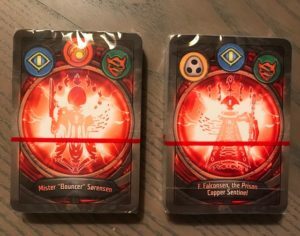 With Keyforge it really creates a sense of ownership where as Discover, I dont think will get the same feeling. I actually think that Charterstone hits right in between these two. In Charterstone you build your own unique game and get more ownership over it then say Discover, but I dont think it has the same effect as Keyforge as that is a game that you actively play against other unique decks. Where as, I have never compared my Charterstone board to anyone elses (maybe I just need more friends). I love how you touched on the logistics nightmare of signed games as well, one of my backed projects (Spirits of the Forest) is in the middle of a huge fulfillment mess for the collectors edition as they are signed, and in their latest update (today) they said that they will never do this again, having a product shipped to a location to be signed, then shipped again to the backers. This has resulted in most people already having their games in hand, but the people that backed the more expensive version being more than a month behind. Numbered boxes are the way to go I think for sure, like my copy of Mechs vs Minions. It makes you feel special like your part of one of the limited few, while not adding a logistical or financial mess. Thanks for sharing about Spirits of the Forest, Cody. I wasn’t aware of that, but it’s great that they’ve been transparent about it so other creators can avoid the same issues. Update on Spirits of the Forest, I received it, played it, and its a fantastic game! Although a new issue of backing a game on KS for a higher price for the deluxe/collectors edition and getting the retail edition included with it that you dont need any components from since the deluxe is a self contained game was a little weird, and kinda makes you feel like you overpaid. Like I could have just got the deluxe for $15-20 cheaper. My local sci-fi bookstore, Uncle Hugo’s (Minneapolis), has signed copies of books by the authors. I am FB friends with one author couple, and I know they get new books shipped to them, and then ship to them in Maine, and they sign and ship books out. I know they get requests from Uncle Hugo’s (pre-orders) but don’t recall if they can request personalization of them or not, plus they send extras that are just signed. I know the authors have done in person appearances and signings, and are aware how the store pushed their novels by word of mouth long before Amazon was around. I loved Keyforge, it’s up there and I think it’s taken over from Netrunner — that uniqueness is also great as you don’t get more powerful based on how many booster packs you’ve purchased (ala; Magic) — I can’t wait to play tournaments with it. Love the idea of numbered products, but not a great fan of segregating people based on early birds or anything like that, maybe a premium product over a time-based reward. Signatures are cool, but as an unknown designer like myself, or many first time creators, I think signing something before you’ve made a name for yourself isn’t beneficial at all. Absolutely, I don’t like early birds either. I prefer the individual numbering as a stretch goal or a premium reward. These are all excellent examples of ways to make one-of-a-kind products, and I can certainly appreciate that some are more difficult to produce than others. Over time, I find myself caring less about uniqueness in the larger scheme of things. I can make a game unique for ME by way of upgrading bits or storage solutions, or even in gameplay (such as making my deck my way in a deckbuilder, or as Cody mentions above, creating my own world of Charterstone). I backed a couple Kickstarters at a higher pledge level to have my name or my kids’ names included on a card (Zephyr: Winds of Change and Scuba). I ended up selling my Zephyr: Winds of Change, sealed, (because it took them a long time to deliver and my kids lost interest and I only got it for them to begin with), and I still have no idea which card my name/my kids’ names was supposed to be on since I sold the game sealed. I asked the buyer if they could do me a favor and send me a picture of the card, but they said they looked through the cards but didn’t find it. For Scuba, I opened this one, found the card (cool! ), however I have yet to play it. No one is interested in playing it, or buying it for that matter. So now I have two games with my name in it (debatable with Zephyr of course), and I am not enjoying either of them. I know this is a risk when you back a game on KS, but, let’s just say that I am not as into risk-taking these days to get my name in a game that I may not end up liking in the end ;P. I do however still think this is a cool idea to include a backer name on a card, in the rule book, or create a pledge level for a backer to have art of their likeness in the game. These things make the game unique for the backers, and if it is in every game, then I think it falls into the “easier to manage” category due to the fact that it would be in the full production of the game vs just a few special copies. Other things I have heard about regarding uniqueness in games is the use of promos. For example, Snowdonia just had a Deluxe Kickstarter, which will include every promo ever made….but here’s the catch: some promos that are being ‘reprinted’ will have different art (but the same effect/text) than the original promo because the original promos were created as results of contests, etc where the owner of said promo was promised they would have the only copy in the world. NSKN confirmed that they got permissions from those holy grail promo owners to reprint them only under the stipulation of using new art to keep their promo unique and one-of-a-kind. I rather liked how they handled that, and think the use of alternate art is a always a nice idea to add uniqueness. Sorry for a long post… I swear there was another game I was going to reference but have since forgotten as I typed all this out, lol. Thank you for all you do, Jamey! Love your posts and videos! Thanks for your detailed comment, Kim! That’s an interesting twist with Snowdonia, and your first paragraph is a good reminder that when you buy something on Kickstarter, you really have no idea whether or not you’ll actually use or play it, so it’s nice to have the option to sell it. I am really not sensitive to this personalized thingy. Maybe the numbered box could attract, but even though, I am not that interested in it (I have a numbered Scythe box, but I bought it because of its content, not because it was limited or unique). I don’t take any pleasure knowing that I am the only one having this product and my friend or someone else can’t benefit it (you can find some echoes to my view on KS-exclusive here). Otherwise, about the randomly generated game content, it is a non-sense applied to board game for me. I like to see the games as “artistic creation” where the designer and editor thought about every details to make me feel a particular sensation. I like the idea of them having chose the best content possible to maximise my experience. With this randomly generated content, I have got the feeling I have an incomplete game, and more important I may not have the best combination of things that could have given me the best game sensation. I appreciate your views on exclusives, Romn, and I feel the same way. Though I don’t feel that way when looking at my KeyForge deck–rather, I feel special, and I’m excited that everyone else gets to feel special too. Hi Jamey, I’m not sure how widely shared this view is, but I tend to assign little-to-no value to an individually-numbered product, which lacks the unique experience of a KeyForge/Discover and the personal touch of a signature or personalized product. I certainly agree with you that the appropriateness of different methods for adding uniqueness to a product will vary with the characteristics of that product (no one-size-fits-all recommendations), and I’m willing to accept that individually numbering products is the easiest/cheapest method, but I wonder whether that really answers your original question of whether there is value in it. Richard: Definitely, I think there are some people who value it, and others who don’t. I would compare it to 504 where I get a lot of different games, but very few of them stand out as good and for me; I would prefer to have 1 very good game instead of 504 so-so:s.
So, in my estimation, the greatest thing about Keyforge is the unique EXPERIENCE each deck offers. I’m wondering how long they will be able to keep this up. I guess if they keep adding new houses or mechanics they may be able to keep the game fresh. A “collectible” system of sales seems to be more intuitive than a board game type of system. I really wonder if Discover Lands Unknown will work as well. Kim’s comment already touched on this, but some Kickstarted games, like Villages of Valeria had higher cost pledge levels where your likeness would be used for a card in the deck (limited to 6 or 8 cards, if I remember correctly, for around $250). It’s not one of a kind obviously, because everyone who buys the game gets that card with your likeness on it. but it is perhaps a good compromise versus the added complexities of “one-offs”. The person that paid the $250 gets what they want, and most others don’t really notice.